Description: Do you already have a development team but they're swamped and you need to add someone on temporarily? Need to bring someone on to handle implementing a certain something that you can't figure out yourself? Want to hire someone to add the backend to the frontend that you already coded? Or need someone to do all of the development? Toptal can handle all that and more. Hire coders from the best of the best. This is the only development company that never let me down. Description: Many companies — both large and small — have faced challenges with finding talented developers including candidate qualifications, team dynamics, and bottom-line financials. Team Extension provides quality developers from Eastern Europe, with both great technical and communication skills. Description: In the Four Hour Work Week, Tim Ferriss talks about having an outsourced team that manages every aspect of your business while you sit on the beach. 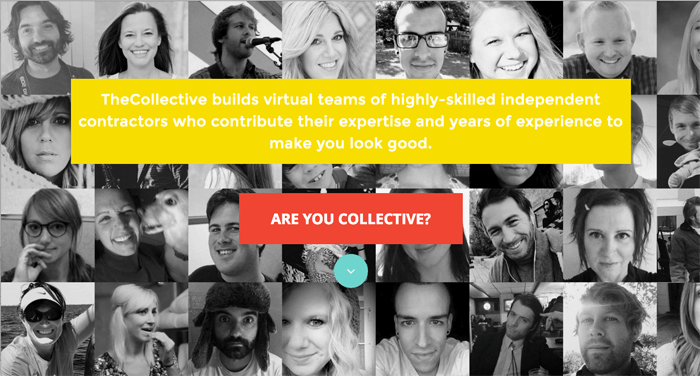 Virtual Collective actually provides that team. 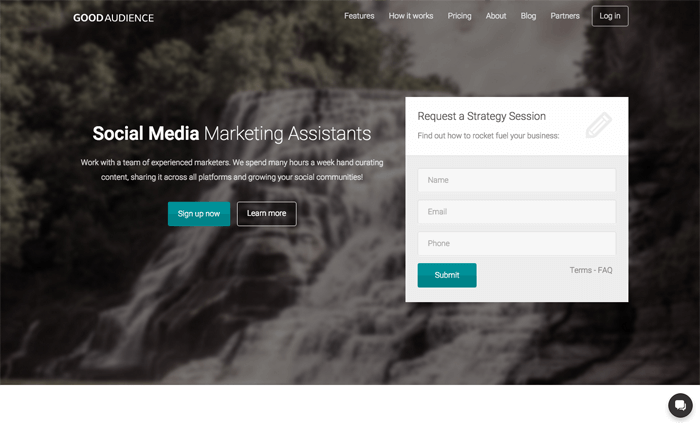 Whether you're looking to hire a copywriter, social media manager, developer, or all of the above and more, Virtual Collective can provide them, and since they're all hired from the same source, they can manage communication between workers so that you don't have to, which leads to a more cohesive and effective Startup team. Description: Looking to hire for equity? Willing to work at a Startup for equity? Equity Directory is the first and only employment connection site that focuses on working for equity. (And don't worry about starving, companies who hire via Equity Directory can pay you a salary plus equity, so it's not always working for only equity.) 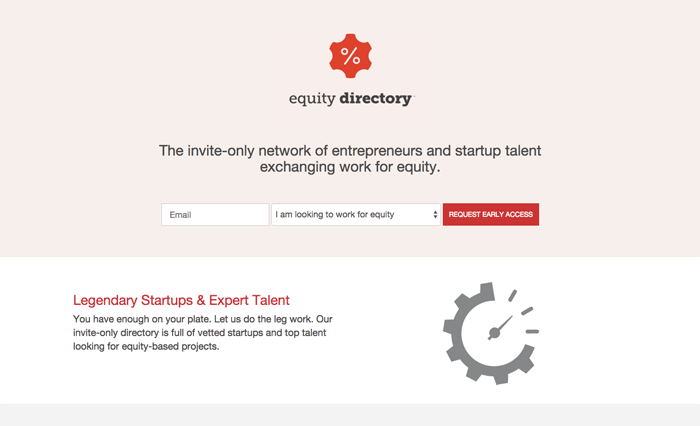 A fast growing service that fills a huge niche in the hiring world previously ignored, Equity Directory is definitely worth checking out. 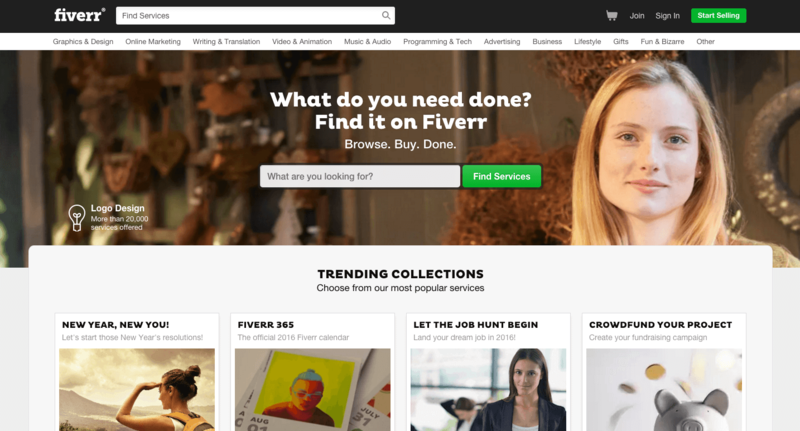 Description: If you have a small job you need done, check Fiverr to hire someone for as little as $5 to do your one off job. I have personally hired actors from the site, as well as SEO consultants, graphic designers, and copywriters. There's a ton of stuff on there. Note that a lot of jobs cost more than $5, but all services offered are affordable. And you can get one free gig when you join Fiverr via this special link. 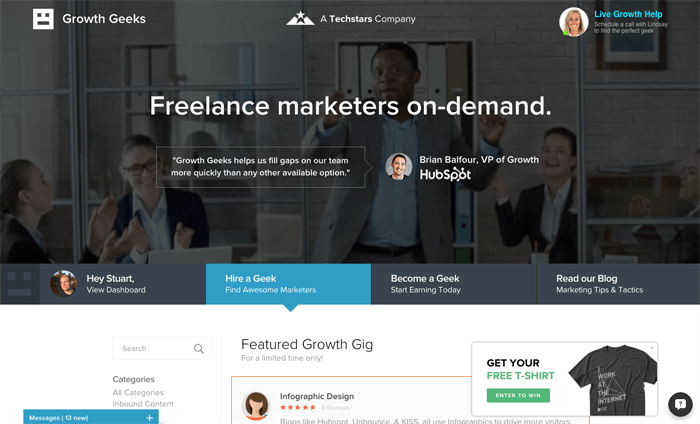 Description: Growth Geeks is sort of like e-lance for anyone who can help grow your business. You can hire people to grow your social media audience, provide sales leads, write blog posts, help analyze your traffic and look for opportunities, and a ton more. It's an easy way to find a quality contractor to help you out. Description: Really good looking cloud app for recruiting. It really streamlines your recruitment process and makes it possible to collaborate on hires with everybody involved in the process. 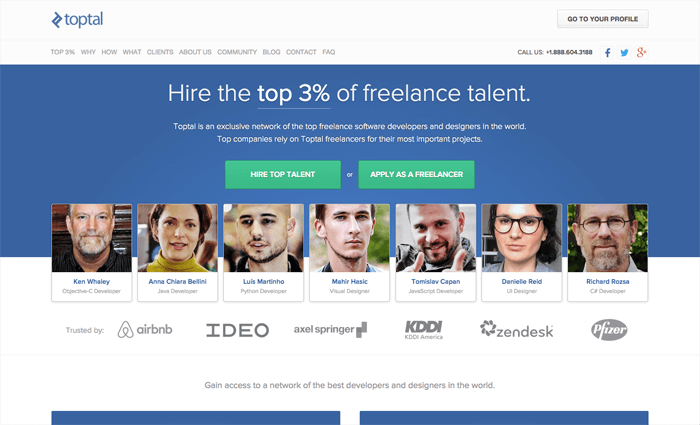 Description: 50skills is a modern all-in-one recruiting platform that helps employers build and post jobs, source and manage candidates, make the right hire and onboard new candidates in a collaborative effort. Integrates with internal chat clients such as Facebook Workplace or Slack, and gives businesses Intuitive Analytics to learn where top hires are coming from and make data-driven decisions in their recruiting process.